Big Tech's Full-Scale Information Warfare Backfires: Censorship Of Alex Jones And Infowars Blows Up In Their Faces! 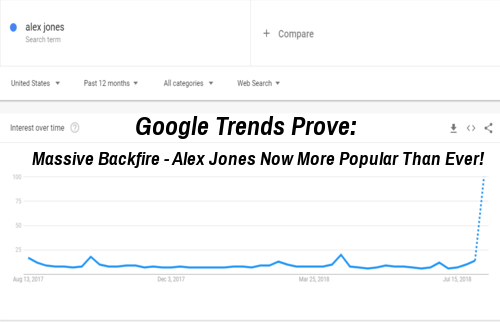 With 'big tech' turning into all-out book burning Nazi's in their latest attacks upon free speech, Alex Jones and the independent media, we'll take a look in this story at the massive 'backfire' that has happened since with 'Alex Jones' now nearly a household name across America whether or not Americans agree with his message and google trends showing an astronomical spike in searches for both Jones and Infowars. And while Wikileaks recently tweeted 'the empire strikes back' in response to big tech's all-out attack upon Infowars and Jones, we're not the least bit surprised that independent media is ratcheting up the information war as well. As Infowars announced in this August 8th story, they've now launched a 'forbidden information' campaign across the country, what they hope will be a grass roots uprising of patriots 'red pilling' their own towns by spreading the 'information war' into neighborhood's all across America. Yet with Americans still more divided now than at almost any time in our nation's history going back to the Civil War, in the only video we've embedded at the bottom of this story, Steve Quayle and Keith Hanson joined the Hagmann Report last night in a must watch discussing the attempts being made to purge Conservative and alternative voices from the internet with the Hagmann's warning that all of these attempts to shut down the reach of the independent media suggests to them that something huge is about to break. Also asking this very important question that they used as part of the title of their video, "what could be worse than civil war? ", the answer is clear to us: NOT having one if that means a boot stamping upon a human face, forever. As we see in the screenshots taken from google trends both above and at the top of this story, ever since the big tech attempts to silence Jones were launched, being heavily pushed by CNN itself, the popularity of Jones and Infowars have gone absolutely through the roof. Yet, the 'infowar' has been ongoing for a long time. In the video that we've embedded directly below, then Secretary of State Hillary Clinton went before the Senate Foreign Relations Committee back in 2011 and outright stated "we are in an information war and we are losing that war." Attacking networks such as Al Jazeera and Russia Today, Hillary didn't admit what we all know now: America's trust in the mainstream media has plummeted steadily over the past decade+ as Americans awaken to huge corruption within Washington DC and the msm reports nothing upon it. She says a major reason the State Department needs money is because "we are in an information war and we are losing that war." Clinton said private media is not good enough to handle the job: "Our private media cannot fill that gap. Our private media, particularly cultural programming often works at counter purposes to what we truly are as Americans. I remember having an Afghan general tell me that the only thing he thought about Americans is that all the men wrestled and the women walked around in bikinis because the only TV he ever saw was Baywatch and World Wide Wrestling." Meanwhile she says Al-Jazeera, CCTV and Russia Today are killing it: "Al Jazeera is winning. The Chinese have opened up a global English language and multi-language television network, the Russians have opened up an English language network. I've seen it in a couple of countries and it's quite instructive." And with big tech's full-scale Nazi book burning obviously co-ordinated attacks with one 'big tech' outlet after another ganging up on Jones all at once, it's becoming more and more obvious to even those who don't like Jones or Infowars that the 'information war' Hillary spoke of years ago is still ongoing and the all-out attacks upon Jones proves to us that he and much of the independent media are absolutely 'over the target'. 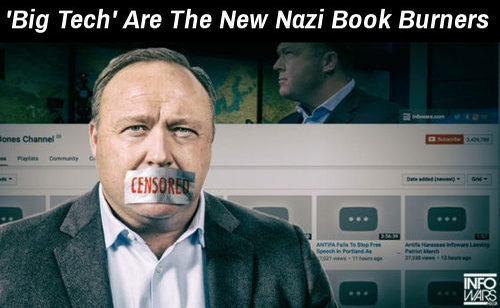 But with big tech's attacks upon Jones quite literally blowing up in their faces, we're warned in this Hagmann Report video below that the globalists surely won't allow themselves to be taken down without a fight and much of the all-out attacks we are seeing upon the independent media are a direct result of websites such as Infowars reporting upon the massive deep state corruption that exists that is still trying to call President Trump's election 'illegitimate' while calling tens of millions of American patriots 'Russian bots' or 'Nazi's'. 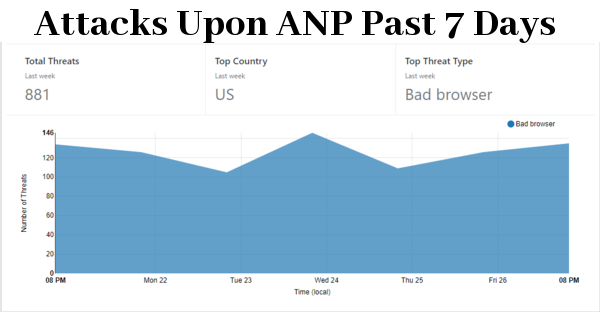 And while ANP is nowhere near as big as Infowars, we too have seen attacks upon our website with 488 attacks against us in the last 24 hours alone along with a total of 2,679 attacks against us in the past week according to Cloudfare. Why would anyone want to 'take down' ANP? And who, exactly, is attacking us? Like Infowars and other independent news websites that are being attacked, we take such attacks as a 'badge of honor'. And taking a look at the headlines of today shows us that the hard work of the independent media is absolutely paying off. Besides the independent media helping to get President Trump elected in the first place with the mainstream media completely aligned against him, as Susan Duclos reported on Thursday on ANP, after remarks by Attorney General Jeff Sessions that were published here at the website of the US Justice Department, the playing field may finally be being leveled. With Conservatives and Christians demonized by Barack Obama and his administration and particularly the DOJ, it's great to see Sessions saying what needs to be said about 'hate group' the SPLC, the group who big tech used the information and data from to demonize Christians and other Conservatives. 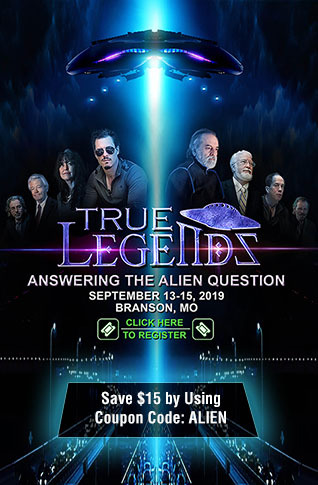 And while there is no doubt that huge battles still loom ahead, should the Hagmann's be correct and something huge breaks on the Mueller front in the days, weeks or months ahead, we could soon see the kind of 'game changer' that drop-kicks this still ongoing 'mass awakening' into the stratosphere. 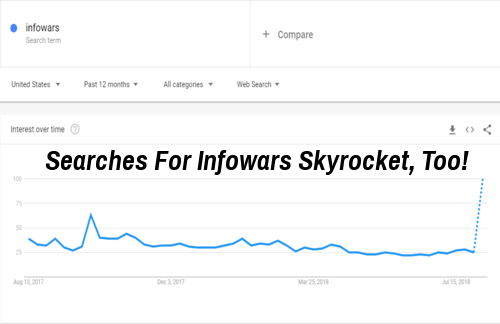 And this new story over at Infowars proves that some on the left actually 'get it' with a liberal professor from the University of Richmond recently penning an op ed to the NY Times warning that the attempts to censor Alex Jones and others will actually backfire upon the left, exactly what we're seeing in google trends. So we'll close this story by remembering the amazing words of wisdom attributed to Evelyn Beatrice Hall of the Friends of Voltaire, "while I may not agree with what you have to say, I'll defend to the death your right to say it."